These Magnetic Head Pulley are easy to manage and easy to clean. These pulleys have heavy weight and used in various industries such as paper industry, cement, coal and glass industry. 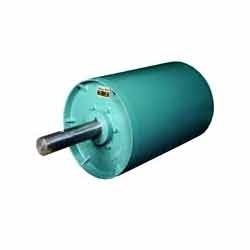 We manufacture and export Magnetic Head Pulleys to our customers at competitive range. These head pulleys are made with superior quality materials and widely used by our clients. Looking for Magnetic Head Pulley ?